Bede Hackney has been appointed country manager of Australia and New Zealand (A/NZ) at Tenable, joining the security specialists after over two years at Nimble Storage. Hackney replaces the departed Gordon Gakovic, who was appointed as the vendor’s first local leader in April 2017. In taking over the top role, Hackney is tasked with growing Tenable’s presence on both sides of the Tasman, building out the vendor’s ecosystem of partners in the process. “We are delighted that Bede has joined Tenable to head up our Australian and New Zealand business,” Tenable vice president APAC Gary Jackson told ARN. 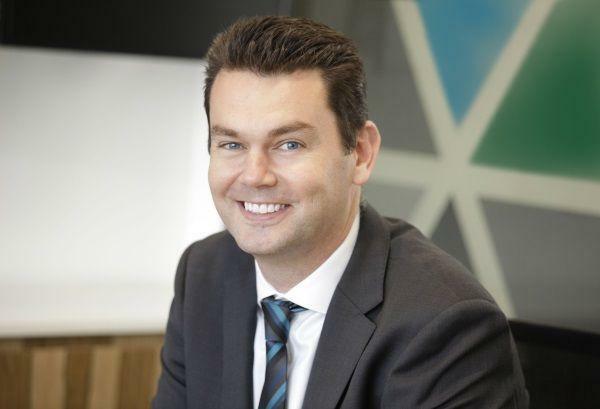 Before joining Nimble Storage as managing director of A/NZ in July 2015, Hackney held senior management positions at VMware and Citrix, alongside roles at Packeteer and NetStar. Hackney joins a vendor currently building out its partner play locally, following the appointment of Peter Raven as first channel manager of the region in October 2016. As reported by ARN, Sydney-based Raven is tasked with maturing Tenable's channel relationships in support of its wider plans for accelerated growth across Asia Pacific. In addition, the security experts also selected Arrow Electronics as the distributor of choice to deliver security solutions directly to mid-market and enterprise channel partners across A/NZ. The deal represented the first direct distribution agreement across both sides of the Tasman for Tenable specifically, and was in line with the vendor’s strategy to expand its global footprint through the channel. Through the Tenable Partner Program, Arrow ECS ANZ offers Tenable solutions to sales partners, providing security technology spanning cloud, BYOD, containers, Internet of Things and other emerging trends in enterprise technology. “Tenable is looking to double sales in Australia and New Zealand this year, and our relationship with Arrow is a key part of that overall growth strategy,” said Jackson, when speaking to ARN in October 2016.